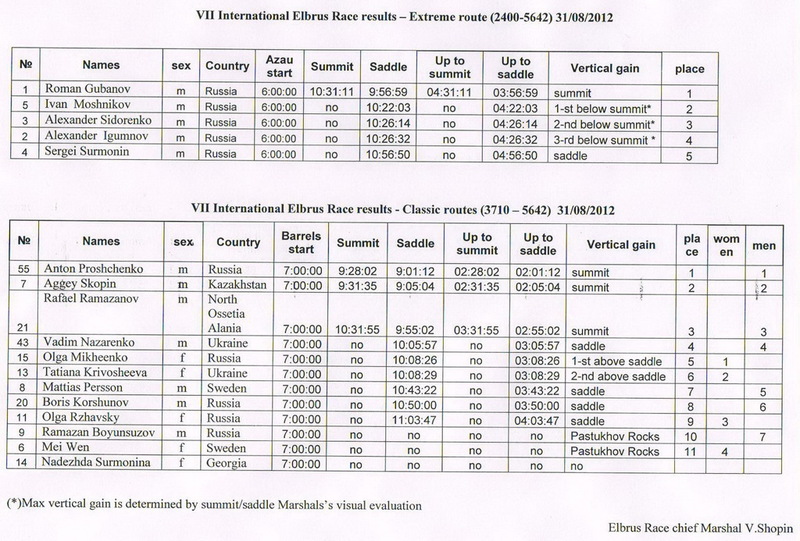 See VII Elbrus Race results in English! 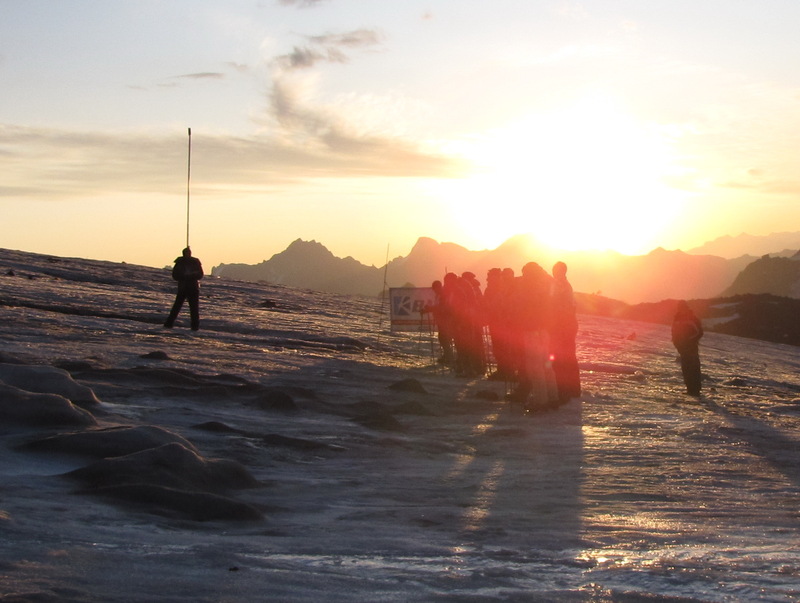 8 and 11 days package for the participant of the Elbrus Race! 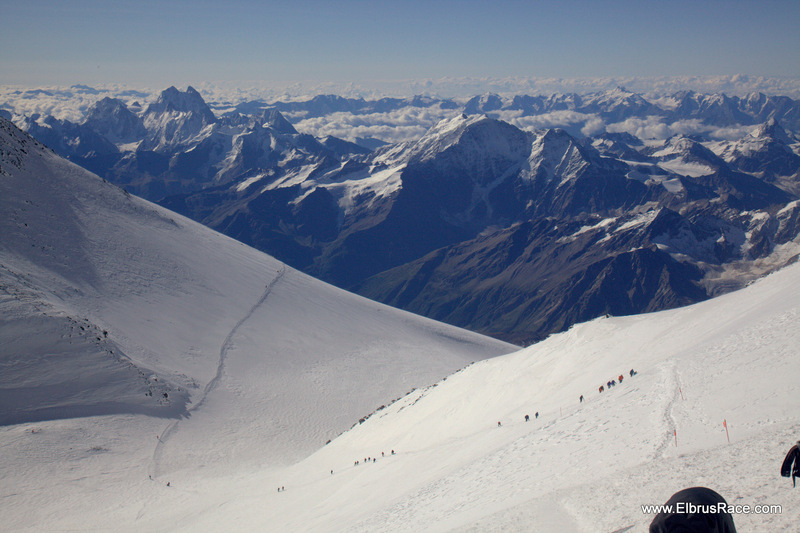 For your convenience, we have prepared a PAX package including accommodation, meals and transfers.You can take advantage of that offer or arrange your stay on Mount Elbrus yourself. Check PAX's packages below and select the option that suits more to You: some of a programs we have proposed, another set of services (will be calculated to You by us) or organization of the stay on your own. 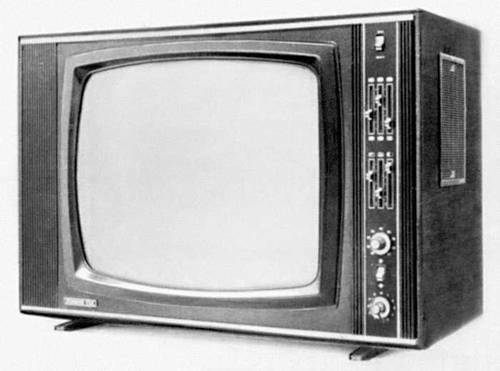 September 22 on TV "Your Public Television" (VOT!) 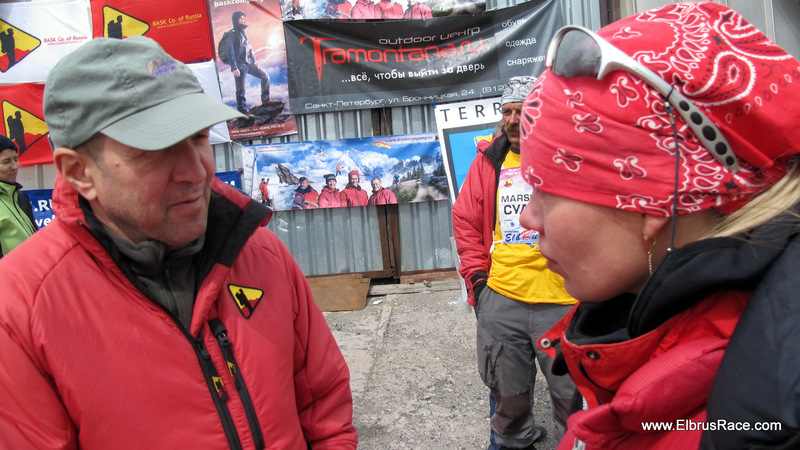 was a half-hour live broadcast with a story about 7-th Elbrus Race. 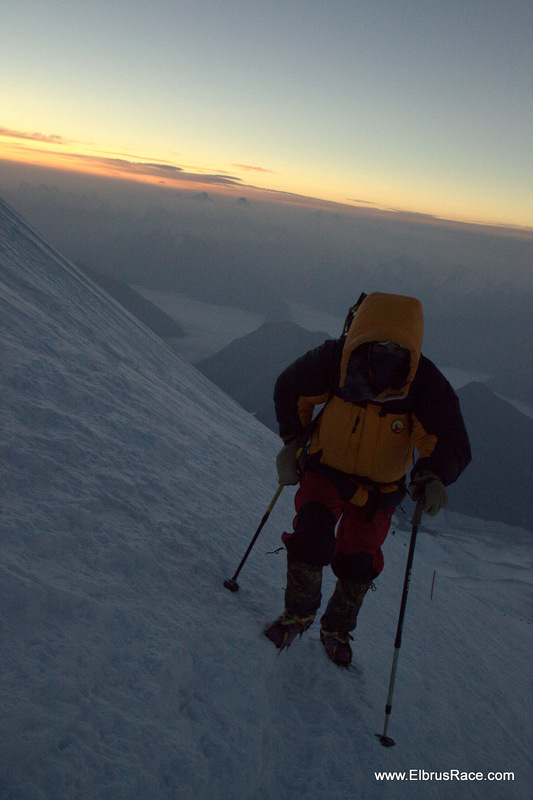 What is Elbrus Race? How do prepare athletes? Who is able participate? 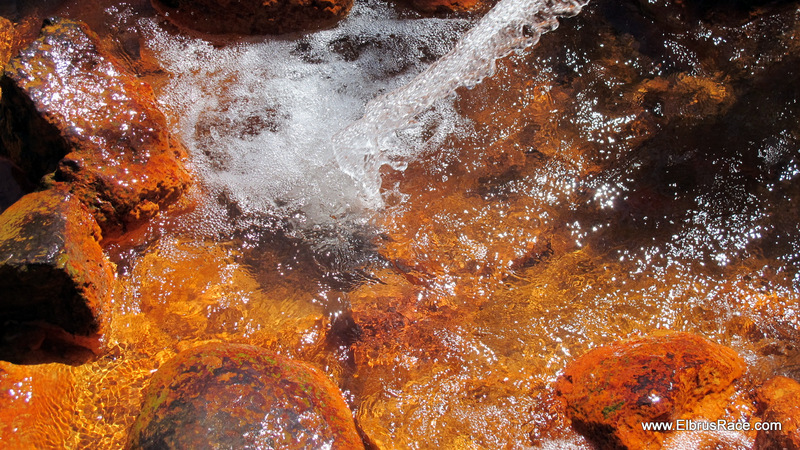 Why autumn is chhosen? and many, many other questions answered Elena Laletina. 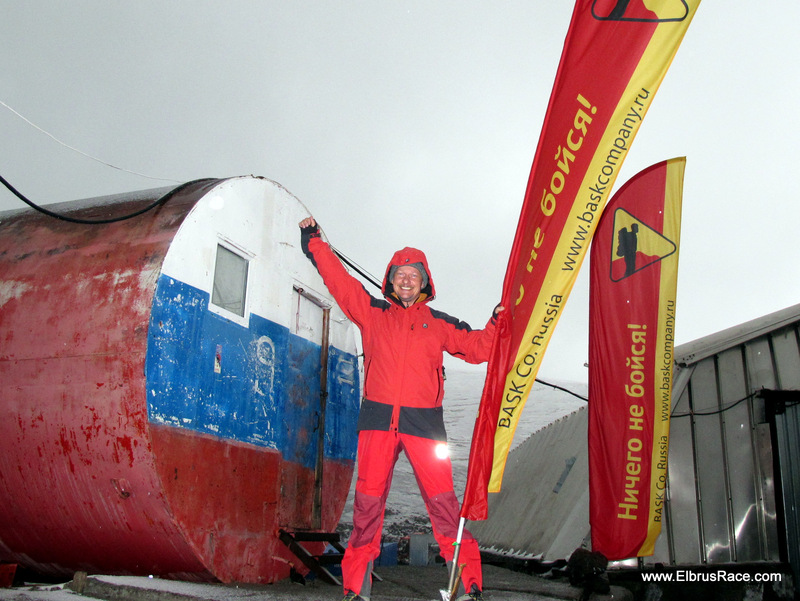 See 7-th Elbrus Race story with photos and short comments!! The competitions results. Rewarding ceremony. 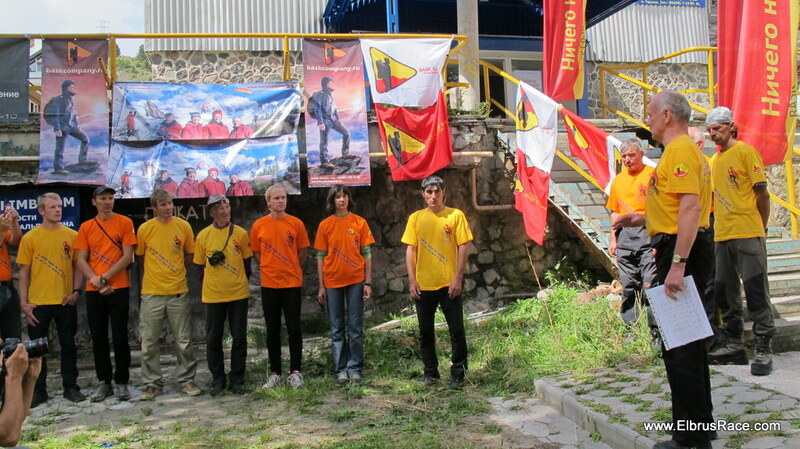 Rewarding ceremony of VII International Elbrus Race was held on Azau yesterday. The president of Kabardino-Balkaria Mountaineering Federation Abdul Khalim Elmezov awarded diplomas and prizes from Sport Ministry of the Republic. 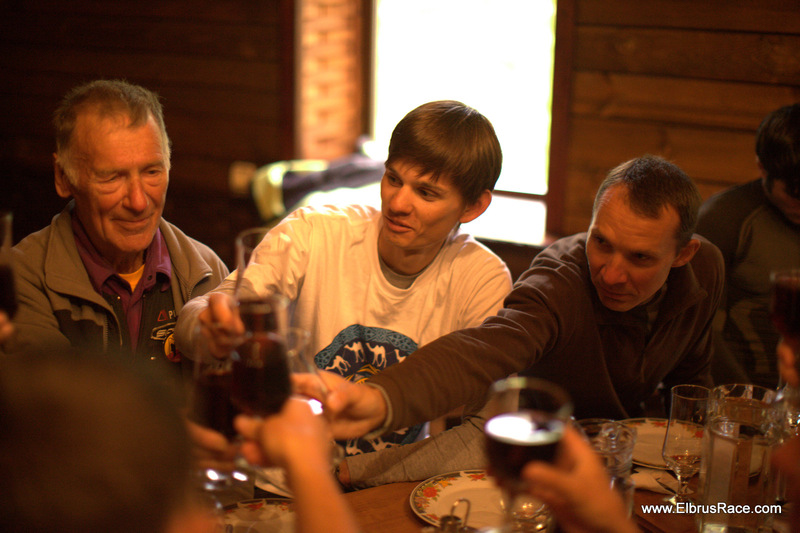 The prizers are awarded by medals and prizes from the general sponsor NPF BASK and Tramontana Outdoor shop. Read more: The competitions results. Rewarding ceremony. 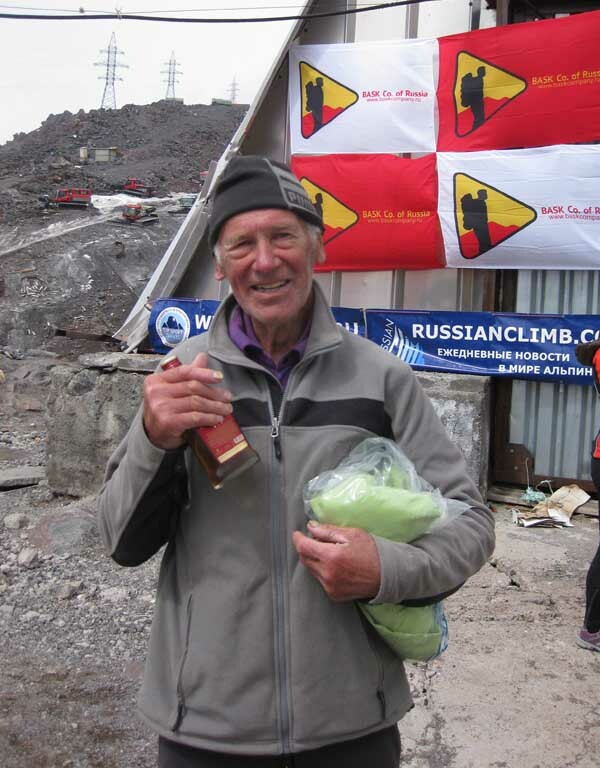 77th Elbrus climb in 77th birthday! 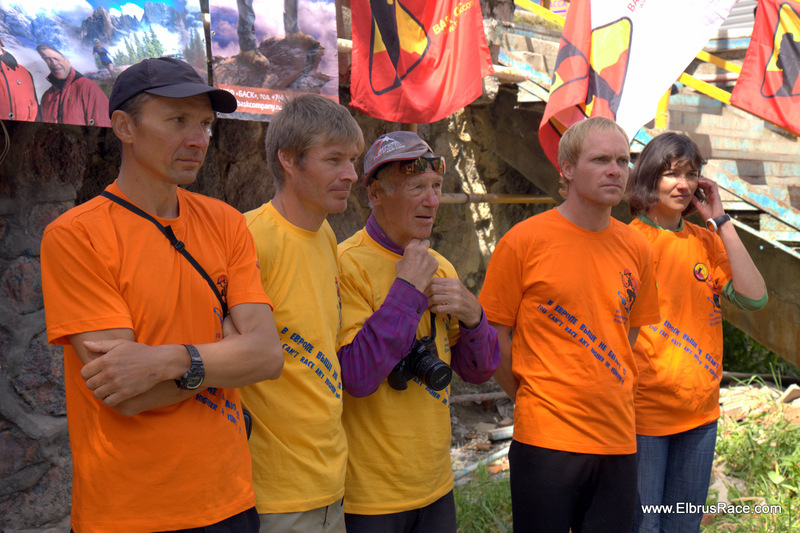 The oldest participant on the VII International Elbrus Race was Boris Korshunov – he selebrated his 77th birthday in the day of the race on August 31! And it was the day he climbed Elbrus in 77th time! This event was the point of interest for MEDIA – the reports were made by ITAR TASS NEWSWIRE and Government TV channel. Boris’ excellent sports form and an amazing biography made a deep impression on television crew. 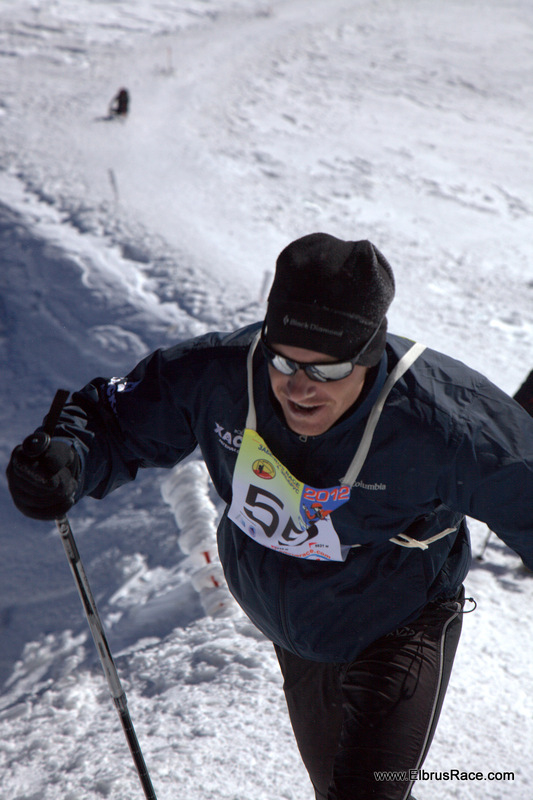 Boris participates in Elbrus Races since 2006, this race was the 5th for him. Participants who saw how Boris run the route, admired him. 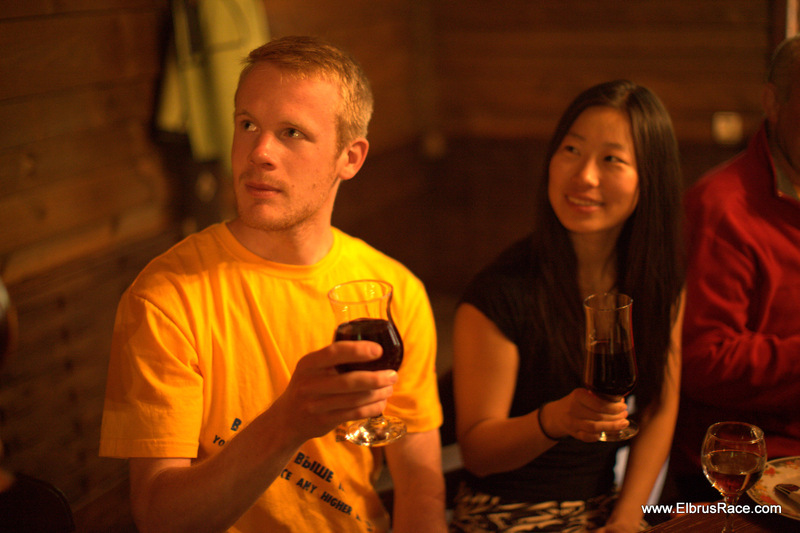 Boris is a well-known high-altitude mountain climber –and also permanent participant of ski marathons, soame years ago he won the European title The Iron Man for the victory in a series of ski marathons in her age group. 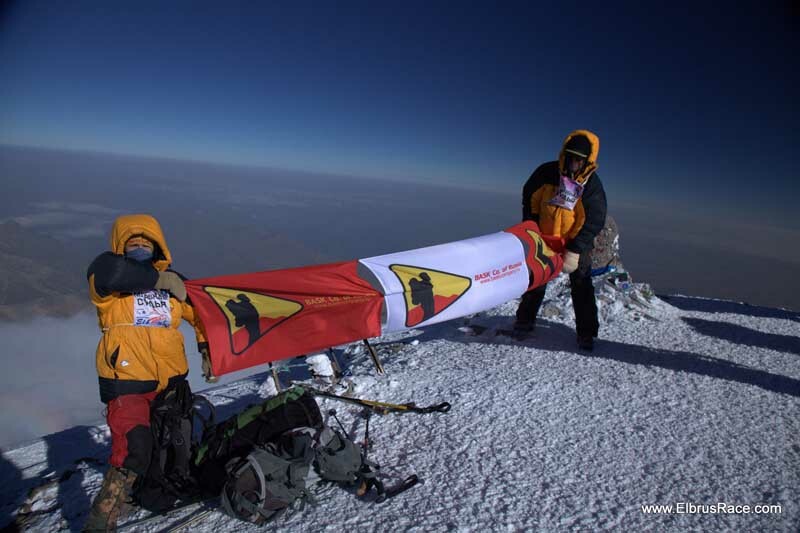 Read more: 77th Elbrus climb in 77th birthday! 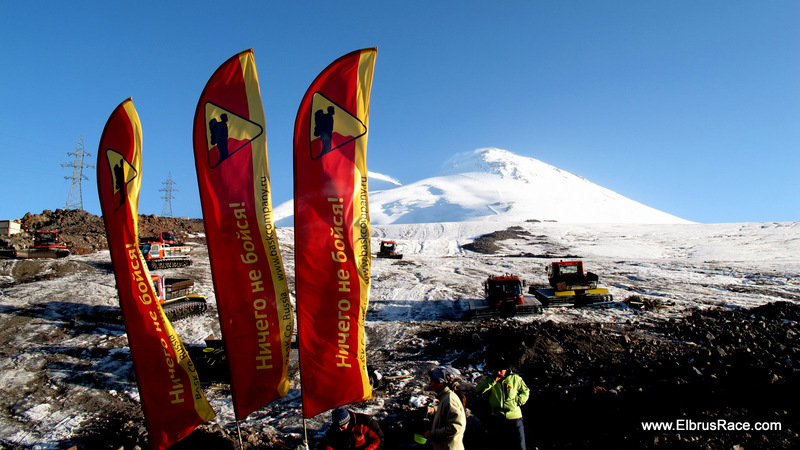 31/08 15:30 7-th Elbrus Race 2012 - Everybody safely get down! The new record set on the Classics route!